Enormous, rose pink, fragrant, double summer flowers and mid green leaves. 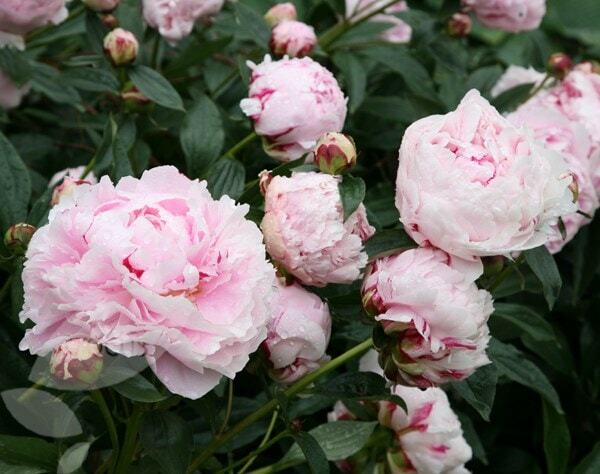 This magnificent, late-flowering, pale pink peony has been popular since the Edwardian era. To support the large flowers stake in spring using bamboo canes or metal link stakes. An excellent specimen plant for a partially sunny border. Garden care: Deadhead after flowering. In early spring apply a balanced slow-release fertiliser around the base of the plant and mulch with well-rotted compost or manure. Beautiful, healthy peony with stunning flowers - came with buds that all flowered whereas those bought from elsewhere have yet to flower. Excellent buy. I bought 6 plants for new borders. All treated the same, 2 plants flowered 4 didn't. I've grown this variety successfully in my previous garden and love it so a bit disappointed with the poor results. Hopefully they'll be better this year! This has the most beautiful flowers. This has the most beautiful flowers and is excellent qualities as a cut flower. Plant arrived healthy and I planted it out in the autumn. Overwintered well and shot nicely in spring, but no flowers in the first year (not unusual, I'm told). Hoping for blooms in Year 2 (next year) - this plant is faring no better but no worse than a much cheaper bare root equivalent bought by a relative. Excellent healthy plant received, very pleased. I was pleasantly surprised on the condition and size of the Sarah Bernhardt paeony received. Very healthy plant. I planted it last year, no flowers then but this year it's blooming well and is a joy to look at in the garden - planning to buy more! A beautiful healthy plant which exceeded my expectations. I was absolutely delighted. I'm looking forward to it flowering again this year. As usual crocus s packaging is well thought out and the plant was in excellent condition sturdy and healthy. Great service, looking forward to them flowering for the first time. Hopefully my plants have survived the winter! Hello, I received peony Sarah Bernhardt together with Duchesse de Nemours on Thursday (late may), each came with two buds. By Sunday (three days later), three buds are bloomed (very lovely). However the area where i plan to plant them is not yet ready, still heavily covered with creeping cinquefoil which i have put cupboards over to deprive them of light. The ground may not be ready for another three months till early autumn. Can I plant them then? If however the ground is still not ready shall i leave them in the pots until next spring? Thanks and look forward to receiving your answer. Hello, If you cannot plant them straight away, then you could pot them up into something larger and keep them in those pots until your bed is ready. How do I look after my Paeonies? I have two newly established Paeonies (2nd year - still no flowers) and the leaves have now turned brown. Am I meant to prune them? Is there any other advice regarding their general care? Paeonies can take a few years to establish and produce flowers, so I would not be too despondent. 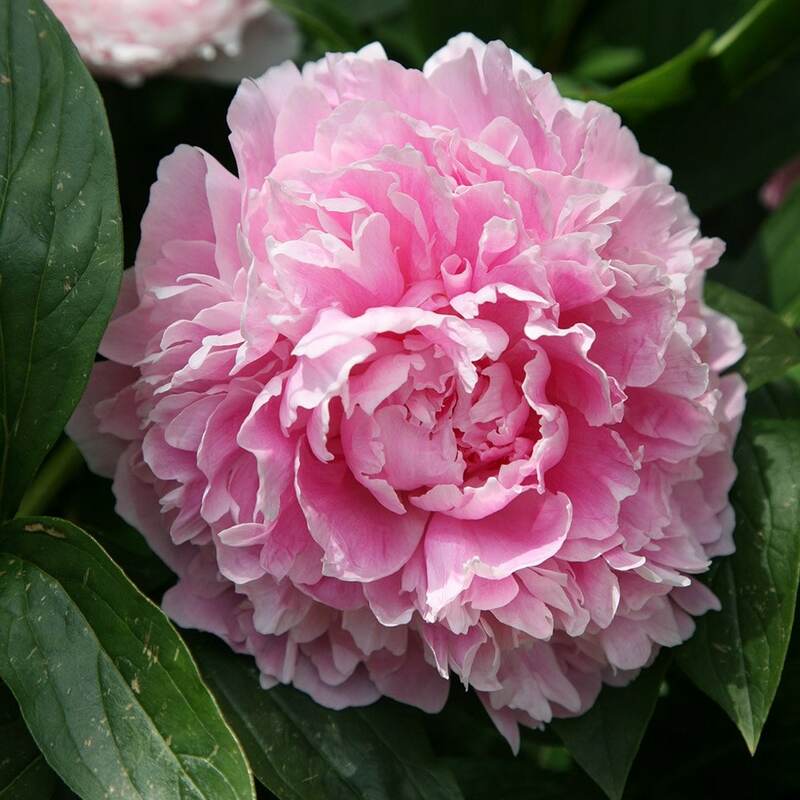 As for general care instructions, it all depends on what type of paeony you have - a tree paeony or a herbaceous type. If your paeonies still have a woody stem at this time of year then they are more than likely tree paeonies. The herbaceous paeonies die right down, so any foliage now would have collapsed due to the frosts The later need very little care. Do not prune the plants at all, but remove the dead foliage in autumn to tidy them up. In early spring apply a balanced slow-release fertiliser around the base of the plant and mulch with well-rotted compost or manure. If you have a tree paeony, you will need to treat it a little differently, but you will still need to remove the dead leaves, making sure the remaining stem remains intact. Depending on the size of the plant you have bought, they can take up to to four years to start flowering after planting. 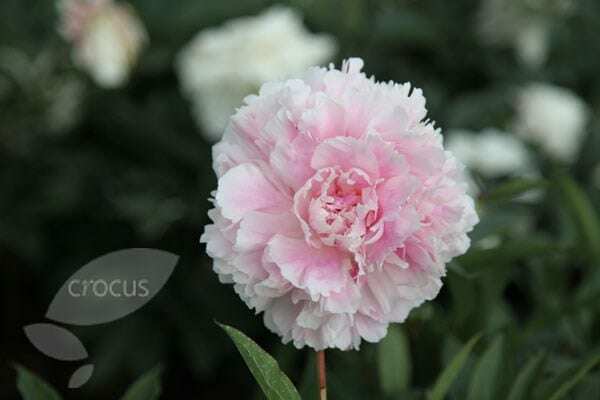 Sometimes a newly planted tree peony will appear to make very little growth in its first season, but all its activity happens underground as its energies are going into producing a good root system. Providing the foliage looks reasonably healthy, there is nothing to worry about and this may just be a 'settling in' period. Occasionally the main stem may die back a little. This might be a little worrying, but wait until the following spring when vigorous growth should resume from the lower part of the stem or even from below soil level. 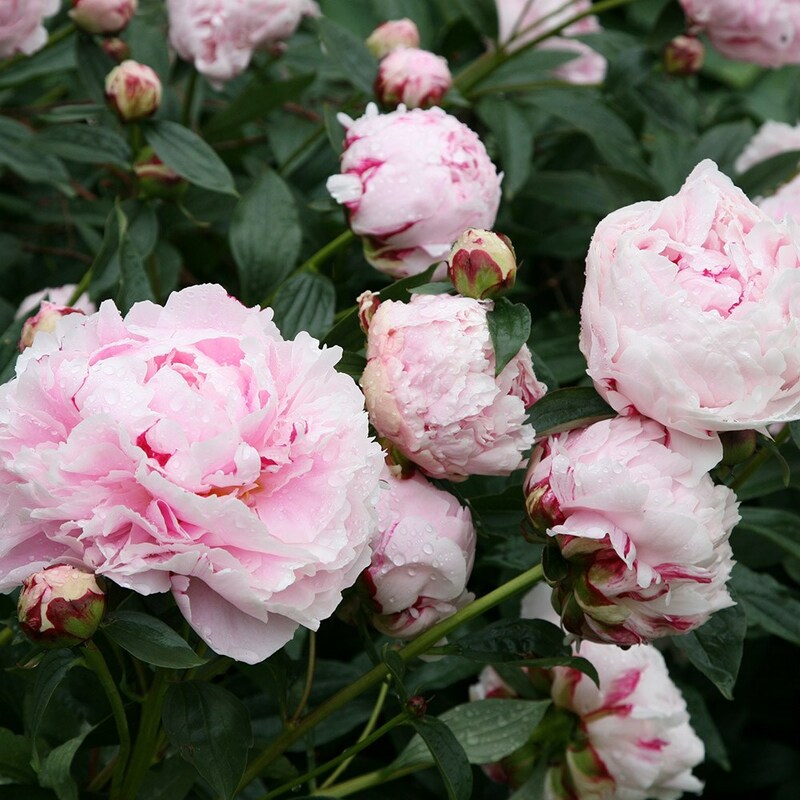 Tree peonies are heavy feeders and they respond well to a generous, early autumn top dressing of blood, fish and bone, a slow release organic fertiliser. Its high potash content encourages flowers to develop. A light sprinkling of a general fertiliser such as Growmore can be applied in the spring if you wish. They also respond well to pruning. Ultimately you should aim for a broad, multi-stemmed shrub of up to 120-150cm in height, which will not need staking. Chinese and American types have a naturally branching habit and will need less regular pruning than the Japanese and French types. While the plant is still young, don't be tempted to prune, apart from removing dead wood during the first two years to help get the plant established. After this if your plant forms a good shape, no regular pruning is needed. However, if your plant has few stems and is poorly shaped, then prune hard in late winter or early spring, just as the growth buds are swelling. This may mean that you sacrifice some flowers in the coming year. If this is a big issue, you can also prune it directly after flowering but the regrowth will be slower.